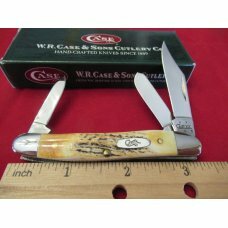 This is a customized Case Trapper with AAA Grade Dinosaur Gem Bone handles. 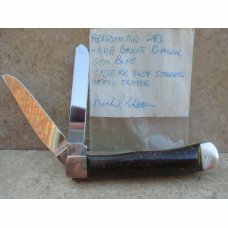 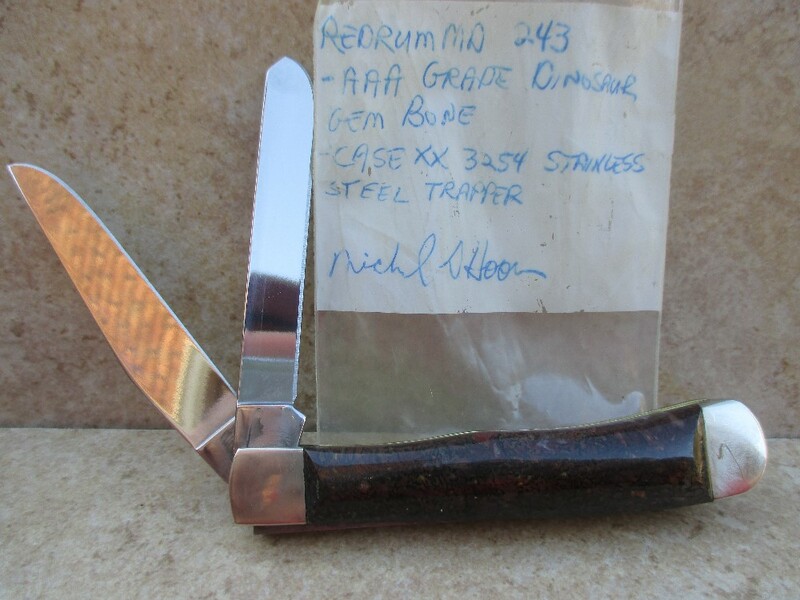 This knife was customized by Mike Hoover who sells on ebay under the name of Redrummd. 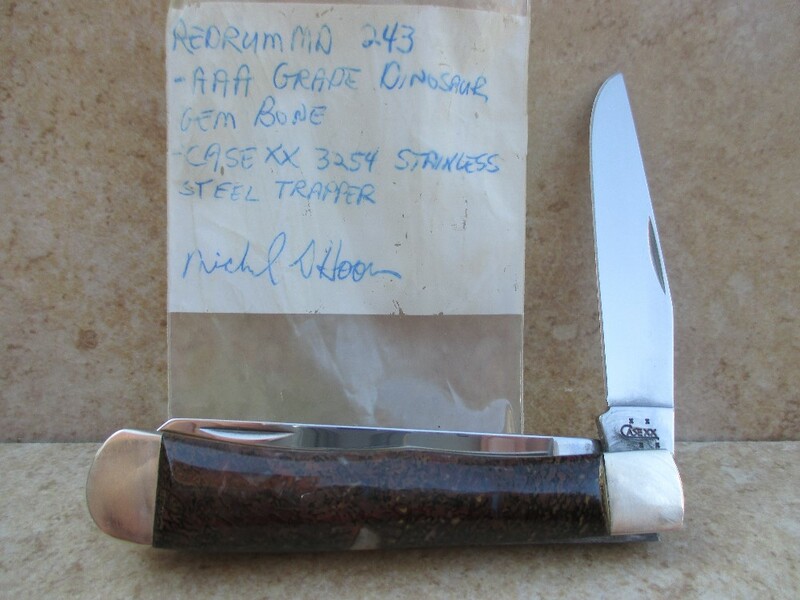 For an idea of what his work sells for please take a moment to check his sold listings on ebay. 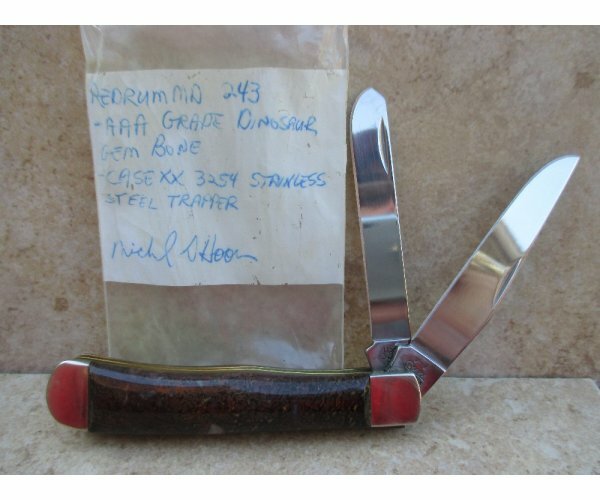 You'll quickly see this knife is offered at a bargain price. 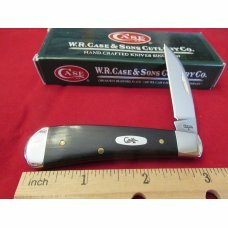 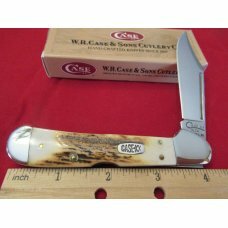 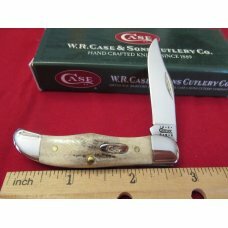 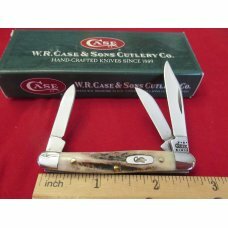 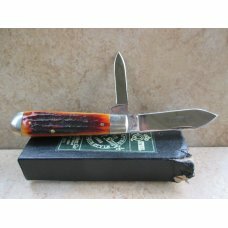 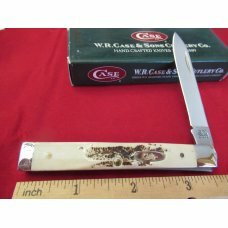 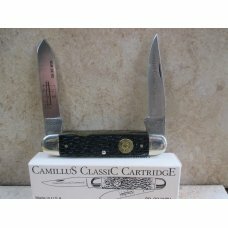 This knife is a customized Case model 3254 trapper with stainless steel blades. 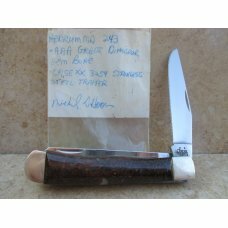 Mike does amazing quality customizing work utilizing exotic handle materials. 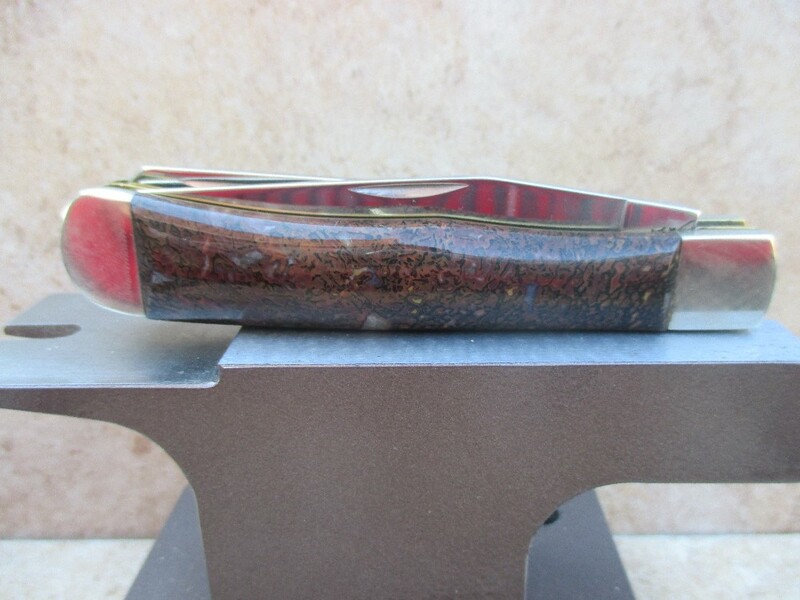 His customized knives are truly works of art. 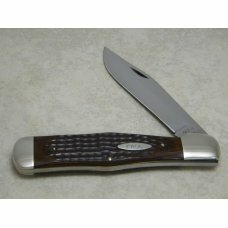 This is a knife you'll be proud to own and it may well become the centerpiece of your knife collection. 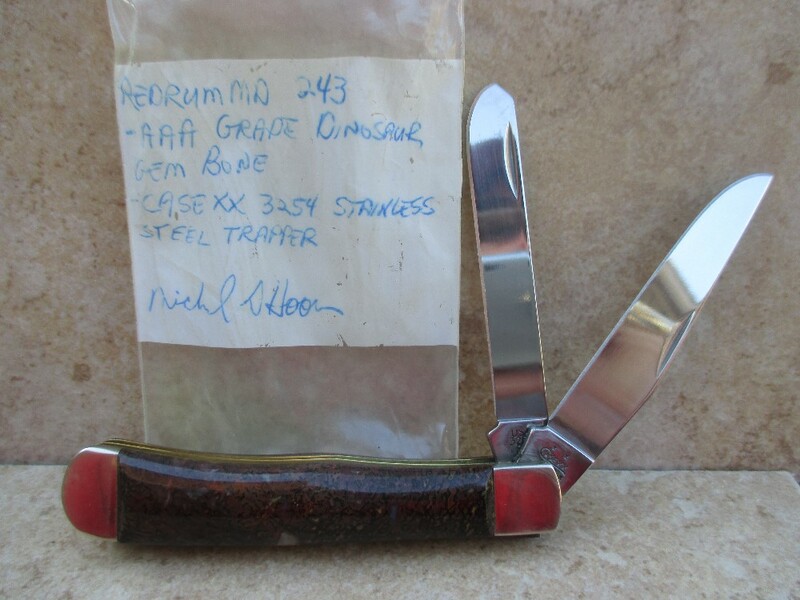 The photos fail to capture the full beauty and depth of the dinosaur bone handles but trust me, they're gorgeous. 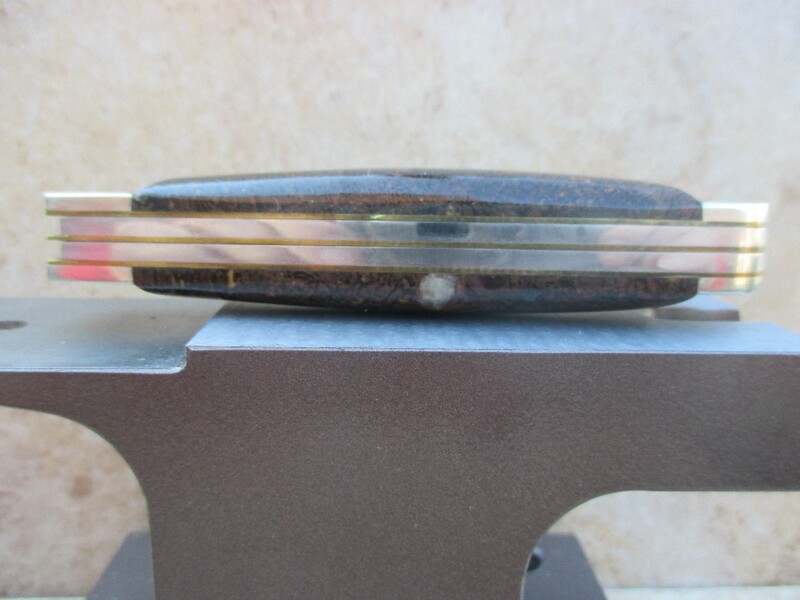 As with every knife we sell, if your not totally satisfied for any reason you may return the knife within seven days in the same condition as it was shipped to you for a full refund of your purchase price. 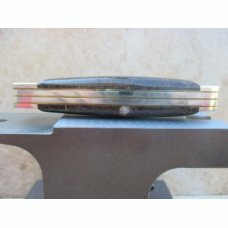 Insurance included in shipping charge. 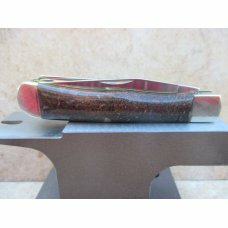 Shipping charge shown is for USA only. 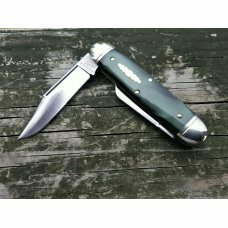 International buyers please contact us for actual shipping cost.